Wow I hope you all are enjoying your summer as much as I am. It It seems to be flying by with trips to the beach, the lake, pool fun for the kids, 4th of July Parades and lots of barbecues!!! So happy to finally sit a spell and peruse through all of your seriously inspiring and creative links. It is always incredibly hard to choose just a few to feature, so in an effort to help me narrow things down I decided to stick to a summertime theme. 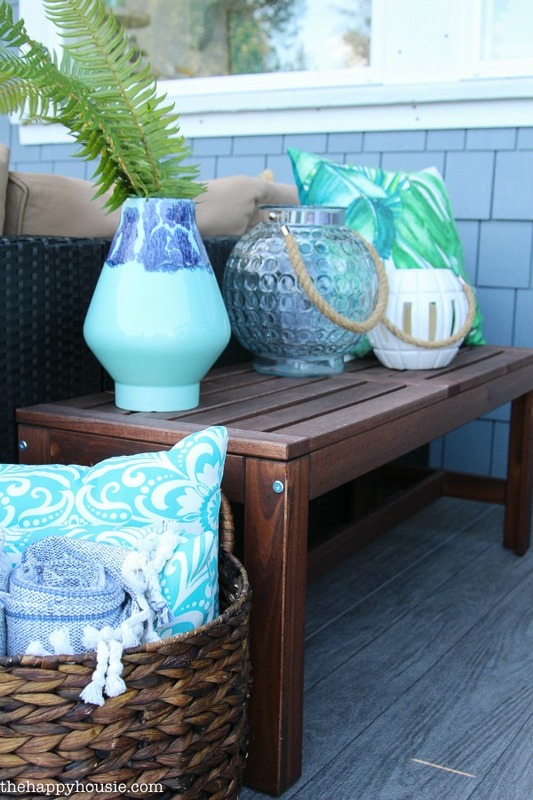 First up is a beautiful Beachy Boho Outdoor Dining Room and living space created by Krista from the blog The Happy Housie. So lovely! 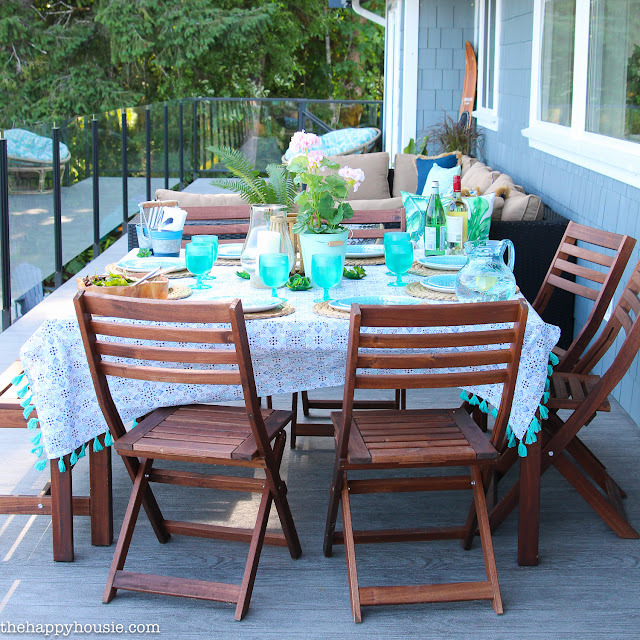 The second feature of the week is a super tutorial on how to paint fabric chairs from the blog H20 Bungalow. 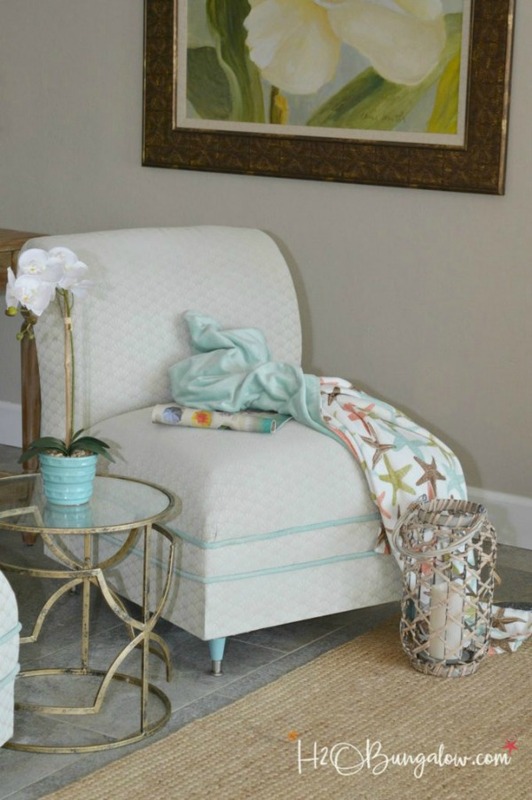 You just have to pop on over to see how this chair started out!!! Next is another tutorial from Bev over at the blog Flamingo Toes. 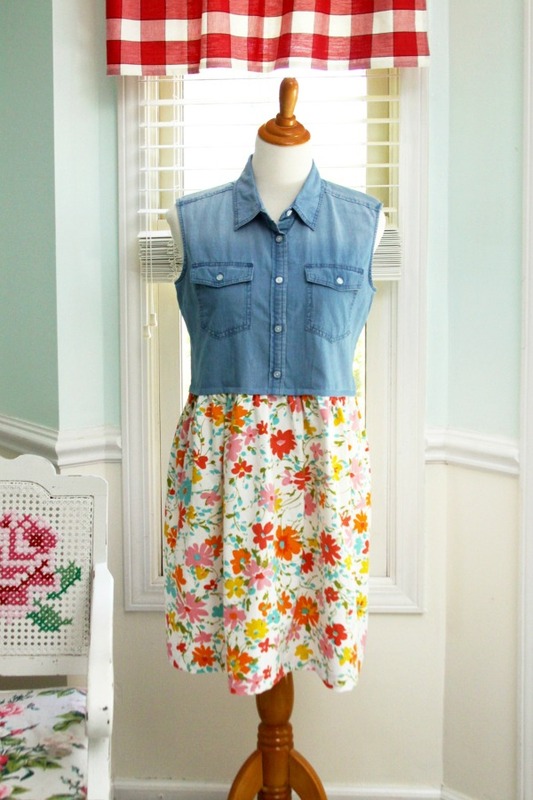 Bev fashioned this adorable dress from nothing more than an inexpensive denim top from Walmart and a vintage sheet! I so want one!!! My foodie feature this week came down to a tie. So what the heck, I will share both with you. With our home garden beginning to crank out its summer goodness, I am always on the lookout for easy and healthy ways to use vegetables. 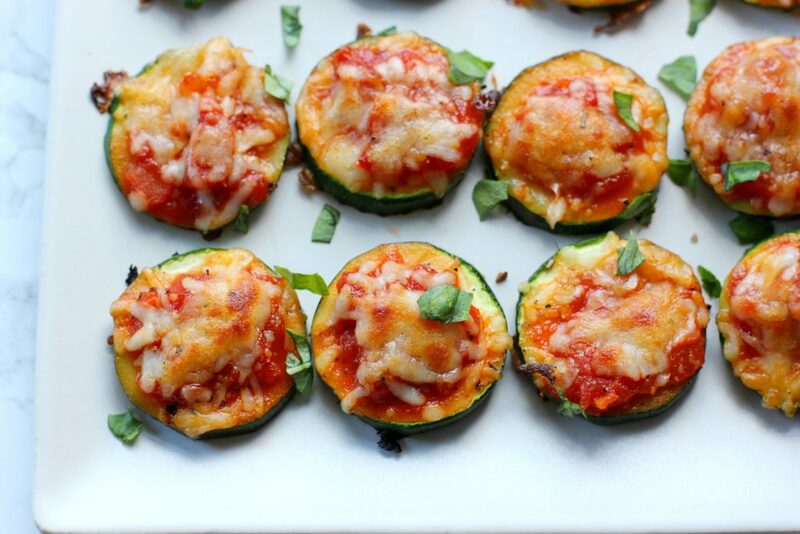 Liz from over at I Heart Vegetables shared her recipe for these yummy zucchini pizza bites. I have fresh zucs in my frig so this will end up being an afternoon snack!!! And to go with these little bites is my other recipe favorite of the week. 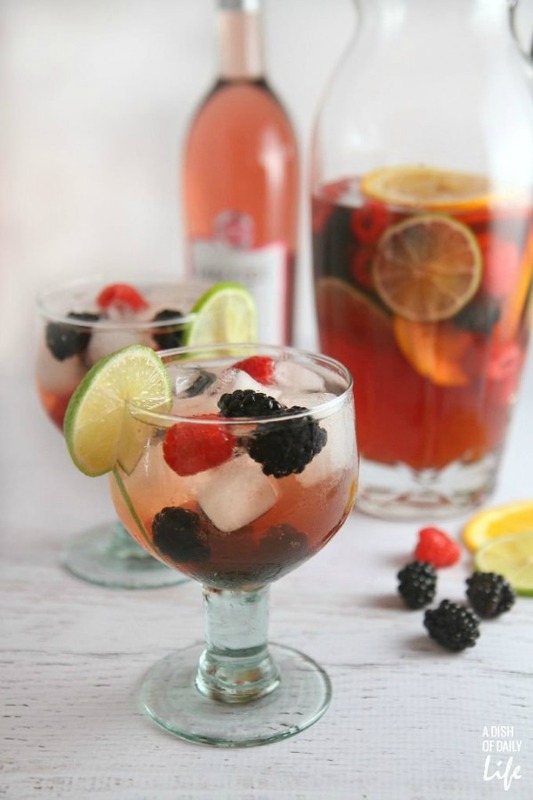 This pomegranate berry sangria spritzer was linked up by Michelle who pens the blog A Dish of Daily Life. 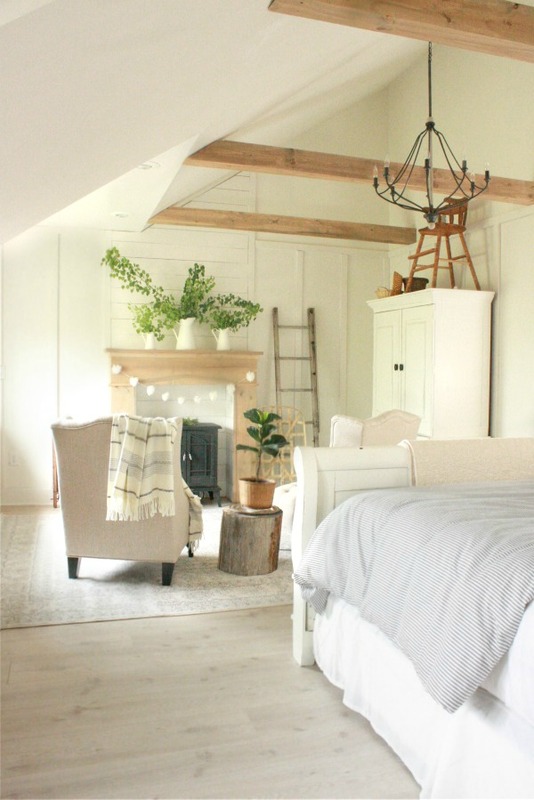 The final feature of the week is a stunning farmhouse style master bedroom reveal from Twelve on Main. 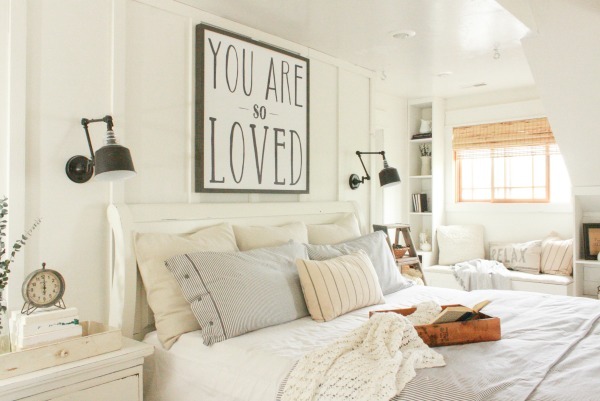 Seriously...I would never leave this room!! If you were featured this week please make sure to grab our sweet little feature button to display proudly on your blog! 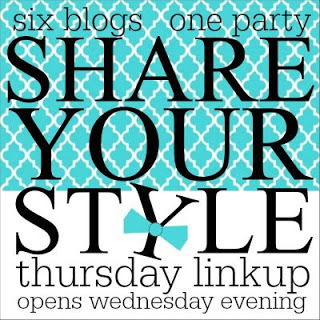 Share Your Style somewhere on your blog or in the post you link up and please no repeats for one year. Also be sure to visit other party goers for inspiration and to make some new bloggy friends. 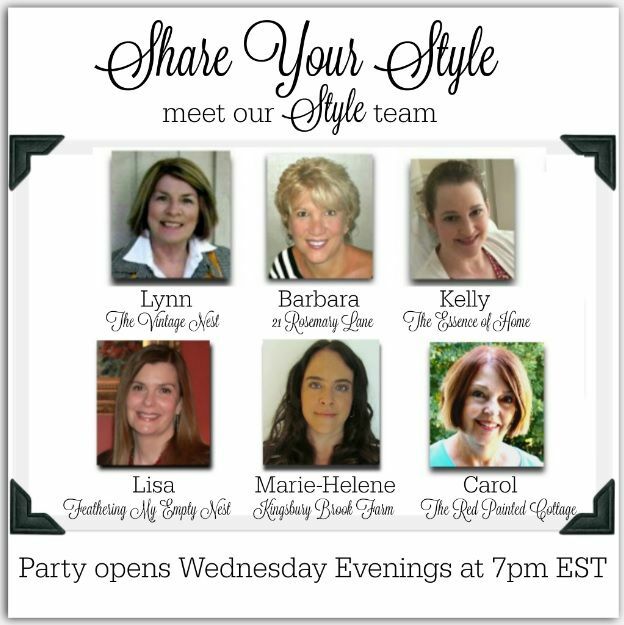 Now it's on to this week's party so you can show off your style!! !